Chambrair ELEG 100 | Chambrair Grand-Duché S.à.r.l. 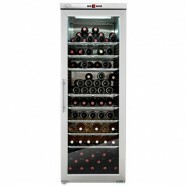 Whether red, white or sparkling wine – temperature control is very important for perfect enjoyment of wine. For example, red wines reveal their aroma only at temperatures of 16 to 18 degrees Celsius. Sparkling wine and champagne prickle particularly intensively at temperatures below 6 degrees Cel­sius. 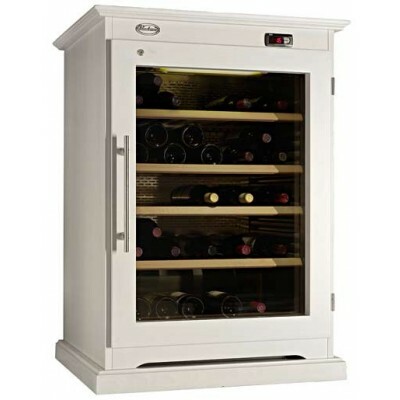 For this reason, many wine lovers and wine connoisseurs consider professional temperature control to be essential for a complete treat. Professionalism meets style and aesthetics – the Chambrair ELEG 100. As a further development of the Chambrair Professional range, the Chambrair ELEG 100 is one of the climate control cabinets which besides their sophisticated technology are in particular visually im­pressive. Tailored to the wishes of every customer, it harmonizes perfectly with living environments and always ensures perfect wine enjoyment at an optimum drinking temperature. 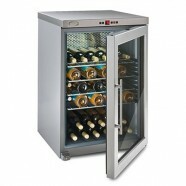 Sparkling wine and champagne can of course also be stored in the Chambrair ELEG 100. The storage quality is compara­ble to long-term storage in wine cellars and also allows wines to mature properly. infinitely variable temperature control (5 – 22 degrees Celsius). This ensures enjoyment of your fine wines at the right temperature in stylish design at all times.